Cozy up to the inviting flavour of warm cinnamon swirl apple pie! Limited edition, get it while it's hot out of the oven! 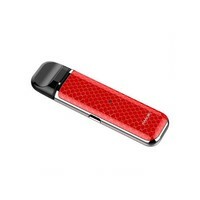 All Day Vapor was created for mouth-to-lung vapors and beginners in mind. By offering superior flavours that provide you with an instant nicotine experience, we're bridging the gap between premium and traditional high PG liquids in a smooth enjoyable experience. Quality and flavour will no longer need to be sacrificed by those looking to make the switch! 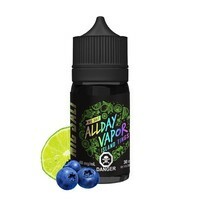 All Day Vapor has revolutionized the nic salt experience, creating deliciously complex blends while satisfying the needs of experienced and beginner vapers alike. These e-liquids are designed to maintain maximum flavour and performance all without the use of any sweeteners, offering you a better vape that lasts longer. It is recommended to avoid using High Wattage Sub-Ohm tanks with high concentration nicotine salt.